THE FINTECH SECTOR JUST ROCKS! I’ve fallen in love with the fintech market sector, the combination of two of my passions (technology and investing) has me intrigued each time a company launches something new and innovative. For a long time I’ve felt that the current financial advisor situation is broken, I believe that it’s full of people who don’t have the average person’s best interests at hand, are stuck in old ways or favour those people who have a lot of money already. There literally isn’t any one who won’t fall into one of these categories especially if you are young. Someone who’s 19 and can invest R500 a month because that’s all they can afford when they’ve just left school should not be treated as a small fry because it’s these students who could potentially turn into the person who’s investing thousands by the time they’re set up and running in a few years. At the same extent, being told to put your money into an overly conservative, low return, money-trapped investment vehicle is hindering people’s growth, not enhancing it. This is a topic I could discuss for hours but I think you get the point. From my experiences (I’ve met 16 financial advisors over the past few years) it’s really hard to find someone who is up to date with what’s really happening and has your best interests at mind. I have met one or two advisors who I feel are excellent so I don’t want to make grand statements about all financial advisors being bad as that would be incredibly unfair of me, but it’s hard to pick out the good folks when you don’t have the knowledge under your belt. At the moment, my understanding is that when you meet a financial advisor, they will recommend several products that they’re affiliated with (that’s a problem too because of bias), they’ll encourage you to invest in one and then take an initial fee along with a yearly administration/management fee, etc. Generally an advisor takes about 1% of your investments, but the part people misunderstand is they take 1% each year of your entire portfolio. So in other words, in year one of depositing R500 a month you’ll have R6,000 of which they’ll take 1%. In year two you’ll have R12,000 (excluding appreciation) and they’ll take 1% of that and so it goes on. If you do the math you’ll realise just how much they make! With that being said, I’ve felt that there’s a better way that this could be done. I wondered about a model where you meet with an advisor who charges you a consultation fee and helps you set everything up but doesn’t take an initial investment fee but rather a performance type basis. Inflation is what, 6 percent I think? So, if your investment grows at a rate greater than inflation there could be a sliding scale applied for fees – basically to incentivise the advisor over and above the initial consultation fees. I feel that this shifts things somewhat to a point where an advisor would be more interested in advising people and selecting products that really are performing rather than just ones they are affiliated with. It’s just a thought and I’m just an average Joe. However, I believe that overseas there are company’s doing this successfully. I came across a website called SmartRand. SmartRand looks at your financial needs along with your risk profile and provides you with advice. I laughed a little because that’s essentially what any financial advisor would do, but here’s the kicker, the whole process is online. The website provides you advice on the fly while you are online from the comfort of your own home. Of course, this raises many issues and so forth but I believe it’s an interesting move and a move in the right direction. The barrier to entry is low and the fees seem alright. I haven’t tested the website yet but I felt it was an interesting move and could be the beginning of something good. Personally, I feel that a website should be launched with a number of advisors attached to it who answer investment questions online in a more (ugh) web 2.0 way. But let’s watch this space. 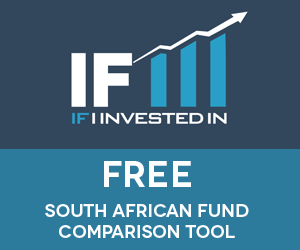 For those of you who haven’t visited an application we built called IFIII, please do take a peak: www.ifiii.co.za. 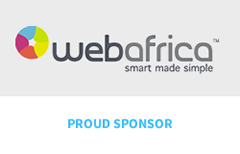 Moneyweb recently published a great blog post entitled, 10 innovative financial products launched in 2015.